A lot of our favorite celebrities tied the knot last year. Now, let us look back to our favorite celebrity weddings of 2016.
Who said celebrity wedding always have to be big? In fact, intimate weddings are also trendy these days. In fact, the wedding of famous celebrity Christine Reyes and MMA fighter Ali Khatibi never failed to wow us with their intimate wedding. Age doesn’t matter. 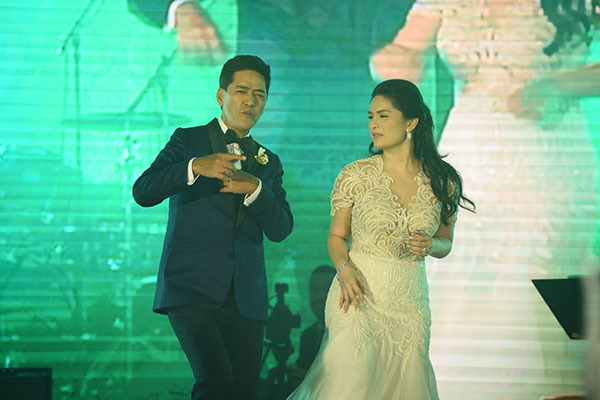 It’s something Vic Sotto and Pauleen Luna made a lot of people realize through their amazing love story. The couple got married in an evening ceremony in Alabang on January 30. We have always loved Georgina Wilson and sure, her wedding with Arthur Burnard amazed us, too. The two have known each other for years. They started dating in 2015 and got married on April 30 in the UK. Solenn Heusaff and Nico Bolzico’s is another celebrity wedding we just cannot get over with. This charming couple had an emotional wedding ceremony in France in May. Following the footsteps of her closest girlfriends, Belle Daza married Adrien Semblat in Italy on September 10. Of course, the whole squad was present during the ceremony and the party. Todo na ‘to! Comedienne Rufa Mae Quinto tied the knot with Trevor Magallanes in a wonderful wedding ceremony in Quezon City on Nevember 25. Karel Marquez and Sean Fariñas’s prenup video went viral because of it clever use of spoken word. It also revealed a lot about the couple’s heartwarming love story. The two got married on December 1 in Makati. 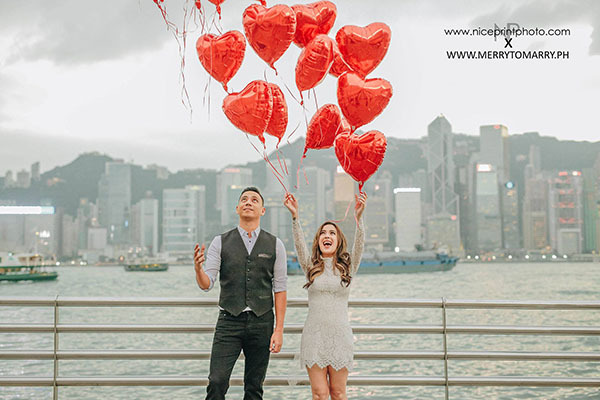 Who would ever forget about the kilig proposal of Paul Jake Castillo to Kaye Abad in May 2016? It was so touching that many could not help but believe in forever. The lovely couple exchanged vows in Cebu on December 9. Special thanks to Nice Print Photo and Exige Weddings and Bizu Catering Studio for the photos.